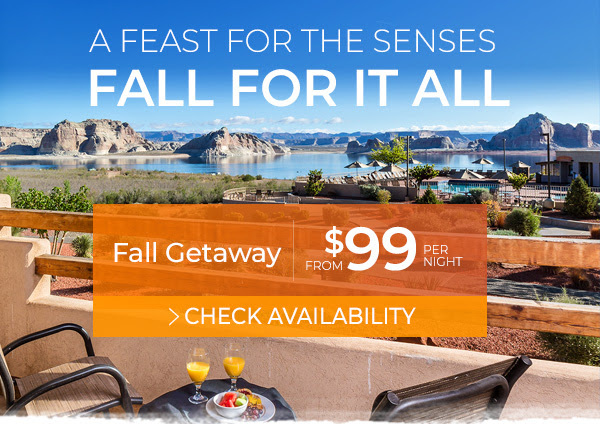 For an unforgettable celebration of the fall season, escape to the endless sunshine, stunning scenery and countless activities. Spend your days hiking, fishing, kayaking, playing in our beautiful lakeside pools or exploring the many extraordinary sights in your own rented boat or on a guided tour. First night room and taxes due at time of booking. Cancellations/changes made less than 24 hours prior to arrival date will forfeit full deposit.